A reader on our Facebook page recently asked why we hadn't reviewed Ras Kass' "Soul On Ice 2" yet. In fact I believe Ras was described as "under covered" compared to other artists. If that's the case it's certainly not out of any bias against Mr. John Austin IV. He's been one of my personal favorite emcees since the 1990's, to the degree that many of his bars and punchlines are etched permanently into my brain as if laser was cutting into stone. On the other hand looking at our review archive I count seven different projects under his name not to mention a compilation album and one with Apollo Brown so I respectfully submit "under covered" doesn't describe our attitude toward his work at all. Rest assured readers that we will get to "Soul On Ice 2" in due course and give it a feature length review. It will also be completely unbiased which means it probably won't be written by me. I don't have to be unbiased at all about this top 15 of music videos either starring or featuring Ras Kass though, including what has to be one of the all-time best examples of beat recycling ever, as Stu-B-Doo took the ballroom outro from the extended version of Dr. Dre's "Been There, Done That" and looped it into a song all its own. Naturally if you're going to do that you have to feature Andre Young on the new song, and that plus Mack 10 on the chorus resulted in a song that was not only ghetto fabulous but CALI fabulous too. Even former top ten list recipient Ice-T has a cameo. 1.) Ras Kass - "Ghetto Fabulous"
2.) Apollo Brown & Ras Kass - "Deliver Us From Evil"
3.) Ahmad f/ Ras Kass, Saafir - "Come Widdit"
4.) Ras Kass - "Anything Goes"
5.) Ras Kass - "Kanye Moment"
6.) Ras Kass - "Soul on Ice"
7.) Ras Kass f/ DJ Rhettmatic - "Goldyn Chyld II"
8.) Ras Kass - "The Line"
9.) Ras Kass f/ Bumpy Knuckles, Onyx - "Downward Spiral"
10.) Ras Kass & Agallah - "Coke Lines"
11.) Ras Kass - "Miami Life"
12.) Ras Kass f/ Viva - "Salud"
13.) Ras Kass - "Sushi"
14.) MK Asante f/ Bishop Lamont, Ras Kass, Talib - "Godz N the Hood"
15.) 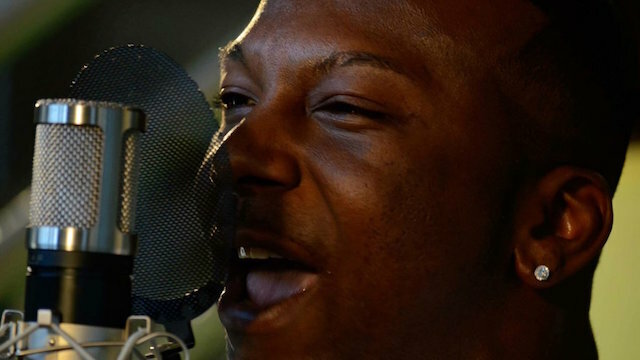 Ras Kass f/ Doc Hollywood - "The Great Recession"